When The Knottery's first collection hit the web last June, stylish guys took to Twitter, Tumblr and other corners of the web to extoll the virtues of the well-made and affordable accessories. Based in Brooklyn, the brand was founded by Jay Arem and Jack Fischman, who were spending a lot of time online lusting after pieces that felt, at times, out of reach. "I was working a 9-to-5 and needed a creative outlet because I was coming home feeling like I wasn't accomplishing anything," says Arem. "I was turning 30, and it felt like now or never." The risk paid off. He quit the day job and The Knottery's business is booming. Their spring collection drops today, so we caught up with Arem to talk about launching a modern menswear brand from the ground up. When you pair your ties with a jean jacket and sneakers, formality shouldn't be much of a priority. Here are some casual ways to knot up. Was it challenging to start up a new label from scratch? You'd think today, you could basically Google your way to starting a menswear site. But, there's no go-to list or website to find places to make things. It was so secretive. I started researching, finding small mentions about manufactures on forums, in comments, and half the time the places didn't exist. In the beginning, no one wanted to sell us fabric. We bought our first bolts of fabric—some deadstock seersucker—on Etsy. Every day, we're learning. It's a challenge, but a good one, like a puzzle. We approach the business as a customer. We're not making something for this mythical, inspirational character. We want to make the things we want right now. I test every product, every sample as soon as it comes in. I don't have any retail experience, so these are all just gut decisions. Is it difficult balancing quality with affordability? It can be. We want to offer the best bang for your buck. Because we're selling directly to the customer and not wholesaling, we can keep the prices low and still stay in business. When we launched, all the ties were $25. We're now lucky to be sourcing fabrics from some of industry's best mills and as we expand, with different fabrics and materials, the prices do fluctuate. 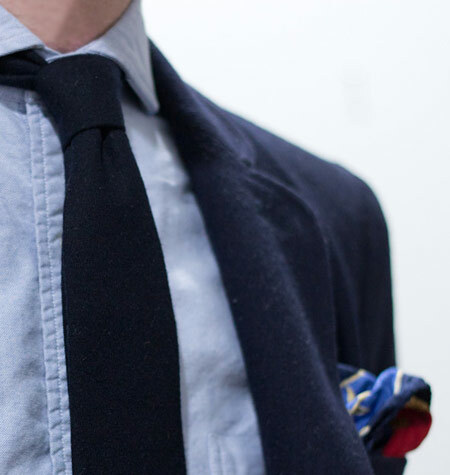 A grenadine tie will be a bit more, for example, but most of the spring ties will cost less. Speaking of spring, what are some of your favorites from the collection? We look for the coming classics, and then put a fresh spin on it. 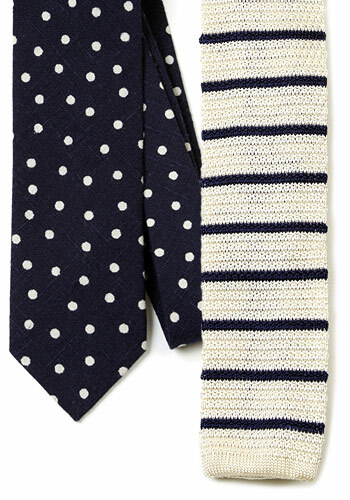 I really like our Breton striped silk knit tie inspired by those nautical sweaters by Saint James. 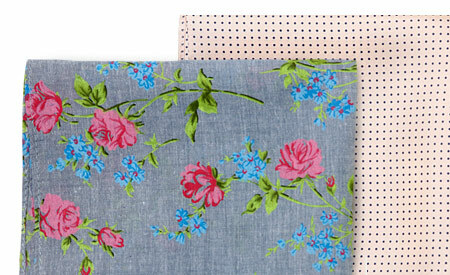 But the floral chambray pocket square's definitely a personal favorite—I wasn't sure if I should put it on the site, or just stockpile them for myself.